Phoenix Mercury tickets are available to see a live Women's National Basketball Association (WNBA) game. One of the most illustrious teams of the league, Phoenix Mercury has made six appearances in the playoffs. They have also twice won the league title. Now the high rising team is all set to attempt another win. Based in Phoenix, Arizona the franchise was established in 1997. Formerly owned by Jerry Colangelo, it was later bought by Robert Sarver. Within the first season the team made its presence felt in the field and soon established itself as a strong contender in the Western Conference. Cheryl Miller came to be the team’s first coach. The internationally recognized former basketball player has the distinction of winning three gold medals. One of these was for the 1984 Summer Olympics in which she led the women’s basketball team for America. She worked her magic holding the position of coach for the franchise and under her the new team gave promising performance both in the playoffs and the finals. After Cheryl Miller left the franchise struggled, however this was a short lived dry period. Taking the position of coach, Paul Westhead lead the team to new heights. He brought with him the experience of coaching NBA title winning teams. Flourishing under his guidance the team rose to finish the 2007 season with a record average of 89.0 points. During his time with the franchise, it also went on to appear in the league finals after nine years. He was succeeded by Corey Gaines. A noted NBA player he also had experience playing basketball professionally in Japan. Under his leadership the team showed great performance and won the WNBA title for the second time. Several noted players have played for the franchise. The first ever team included Nancy Elizabeth Lieberman aptly nicknamed ‘Lady Magic.’ Also forming the first team was the Australian athlete Michele Timms. A highly skilled player she is known especially for her assists on the hard court. Another worth mentioning player is Diana Taurasi who has been named the ‘Female Athlete of the Year’ by USA Basketball. While playing for the team she created history in the league as the second ever player to win the WNBA Championship, regular season scoring title, WNBA Finals MVP Award and WNBA MVP Award, all in a single season. Her distinctions also include being part of the WNBA All-Star Game and winning the Rookie of the Year Award. Other skilled players who have donned the team’s uniform include Samantha Prahalis, Penny Taylor, DeWanna Bonner, Jennifer Gillom and Cappie Pondexter. Not only has the team seen amazing performance by past players but its present roster also boasts of highly skilled athletes. See them in action at the Phoenix Mercury games. Given the teams past record and their present roster the game is sure to be a great sports experience. 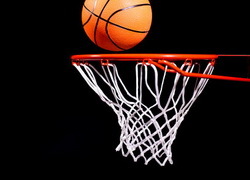 Get Phoenix Mercury tickets to see the illustrious team live in action.